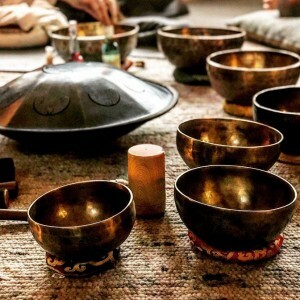 The sound journey is an invitation to relax, let go and further one’s connection to the present moment. An experience where to reconnect and forget about daily concerns, so that you leave rested, energized. 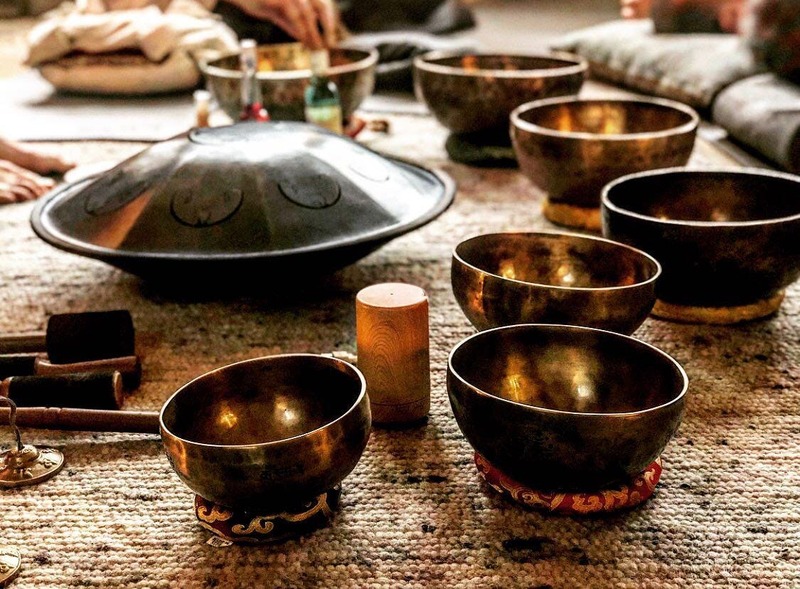 Let’s embark together on a sensory journey with the enchanting sound of the Hang, Handpan, Rav Drum and Zag Drum. To this we add the deep and powerful tone of the Didgeridoo, the vibrations of the Peter Hess therapeutic singing bowls, the captivating Zephyrs Carillons, fairy like chimnes and a dreamy Sansulla. Finally, rain stick, thunder stick and wave drum combine to remind us of the sounds of nature. Take comfortable clothes (with no zipper and buttons), a yoga mat, a pillow and a small blanket – lie down, relax and let yourself go on a delightful journey. (I can take a few spare mats, blankets and pillows for those unable to bring them, but please warn me in that case). If you fall asleep, no problem, you needed it – enjoy the nap and this little musical siesta will be particularly beneficial. After the sound journey, once back here and now, we will have a little moment to exchange and share our experience with a nice cup of tea. I can come to yours, but also within companies, schools, old age homes, care centers, thermes and well-being centers, cultural centers, hospitals, prisons and other types of establishements. Please contact me if you have some questions, or if you wish to plan a sound journey.